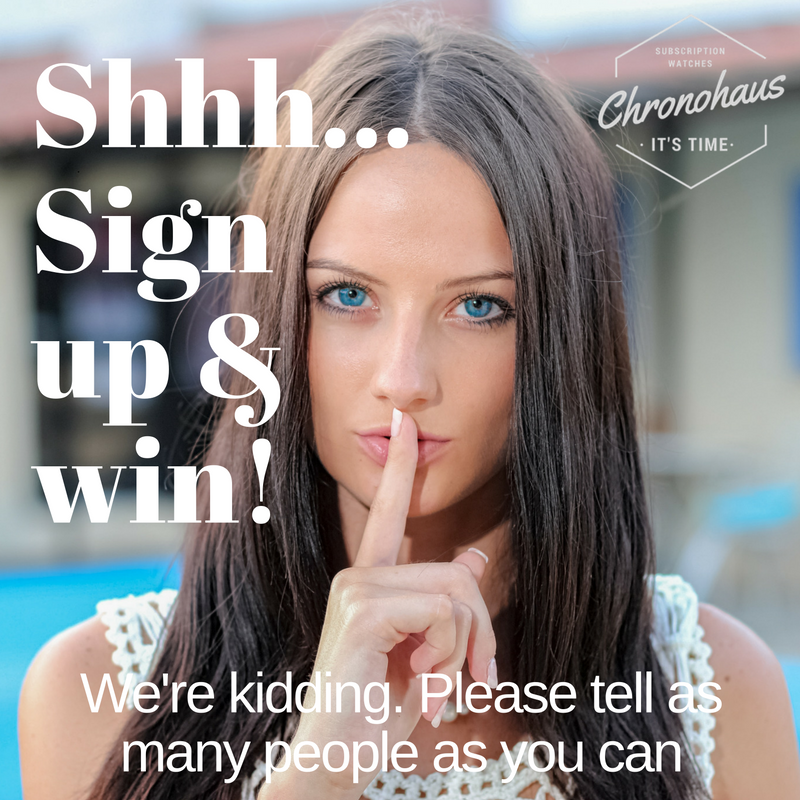 Sign up to our mailing list and you’ll go into the draw to win a two-month complimentary membership with Chronohaus. The lucky winner gets a fully featured Schmick level membership, with all the bells and whistles. That means you could get a Rolex on your wrist for nix. If you’re unsure exactly what it gets you, you’d better click here. The competition is to be drawn and announced soon!! So stay tuned! Sign up: It’s a win win, enter now. Chronohaus is a young and growing company. We’re excited about the future and want to get as many great (luxury) watches onto as many people’s wrists as possible. And it’s so easy with a simple monthly subscription. So it would be great if you could spread the word – share the love! We’re soon going to be launching competitions across our social media – so get onto our Facebook, Instagram and LinkedIn for more chances to win (and get great news). So you should probably start following us now. So we’re ultimately working to create a community of London based, like-minded luxury watch lovers. The bigger the community, the bigger collections and the more fun we have. As a result, you can expect meetups, drinks evenings and watch show-and-tells. And if you don’t win the membership? Everyone’s a winner in this competition! You’ll be joining our mailing list, and that promises to offer good times for everyone. And it’s free anyway! Finally, we do of course keep the mailing list to ourselves, and we keep all your details safe.